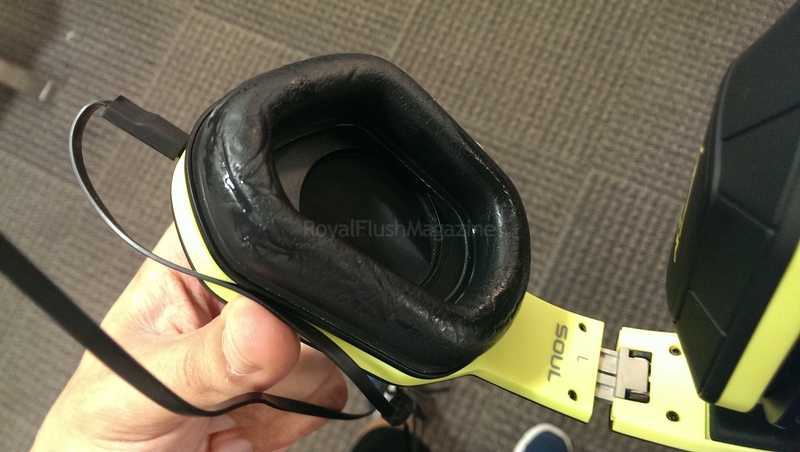 Last month, we reviewed Soul‘s impressive and aptly priced Transform headset – rugged and lightweight headphones endorsed by Tim Tebow. 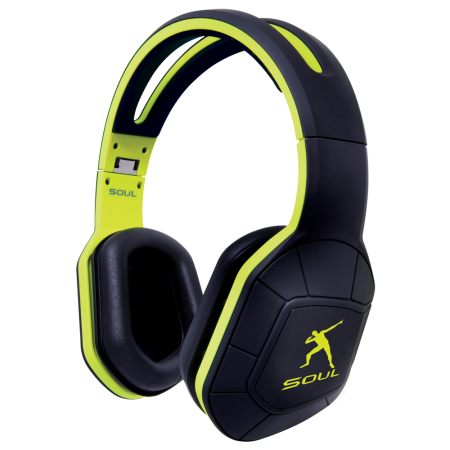 If you haven’t had the chance to try them out, but you want to one-up those who have, Soul‘s Combat+ headphones are the next stop for you. Soul’s leading headset for the athletes in all of us brings yet even more durability, features and style to the table while continuing to keep impressive sound quality intact. Also endorsed by Tebow, these headphones are the go-to’s for Usain Bolt and latest ambassador MMA fighter Brendan “The Hybrid” Schaub. The Soul Transform is a respectable product packed with everything you need to have a comfortable workout of any intensity. 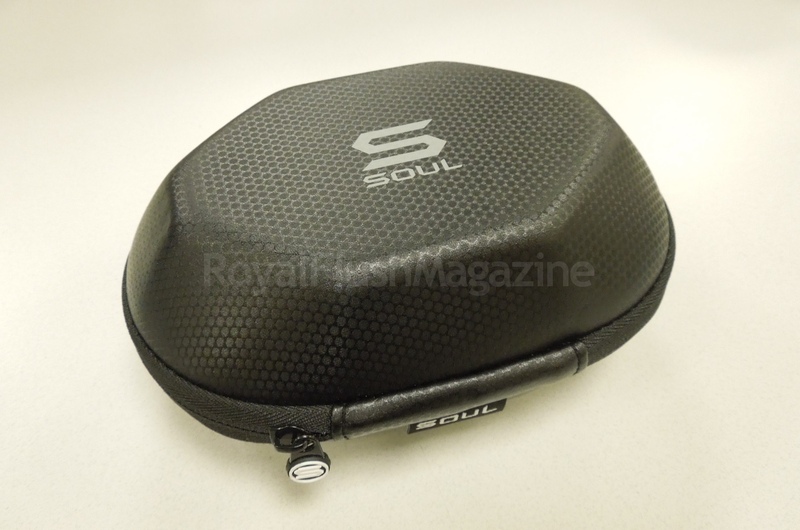 So then what do you get now from Soul’s headlining active performance headphones? We take the Combat+ to battle at the next level with this active headset review. The Combat+ is an over-ear headset geared towards sound isolation and comfort during any activity. It sports a lightweight frame while keeping an excellent grip on your head. 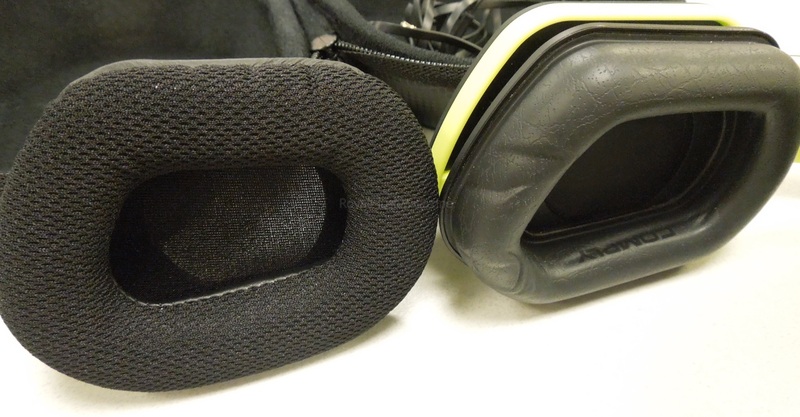 If the headset’s snug grip wasn’t enough, the over-ear ear cups lock around your ears for extra stability. As you’ll see below, I have a slick shaved head. (Well “slick” due to my sweat, not my “happening” hair “style”) Just like in the Soul Transform review, I went through the motions for a proper sweat. After a chest, biceps and back session, I hit the treadmill for 30 mins, then the rowing machine for 20 mins, followed by 30 burpies. The headset laughed at my attempts to have it slide off my hairless head. The headband sat on my head without reminding me it was there. There’s a bit of rubbery cushion that adds to the overall hug. Despite the sweat I produced, it stayed centered. Here most of the sweat rolled off the band as I turned it over to snap a shot. Not to mention, the “wide grip” head band is extremely flexible. As an avid lover of electronics, I couldn’t bring myself to perform the obligatory headset twist to demonstrate said flexibility, so I just left it to Tebow. Immediate points are given for Soul Combat+ ‘s portability. The headset comes with a hard carrying case for holding your foldable headset. The audio cable is made of kevlar, houses an in-line sweat-resistant controller for your music-finagling or call-answering, and is removable for easier stow-away. This time around, you are given more options in preference as you are given two pairs of ear cups: a sweat-wicking mesh set and a new memory foam innovation in the form of a Comply™ set. 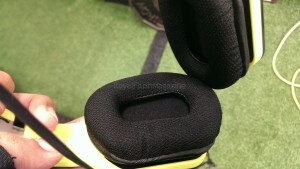 Like in the Transform review, the ear cups are removable (obviously) and washable. The mesh set is hand-washed while the Comply set is more of a wipe-down style of cleaning. The Comply headphone pad set plays a big part in making the Combat+ a premium exercise headset. 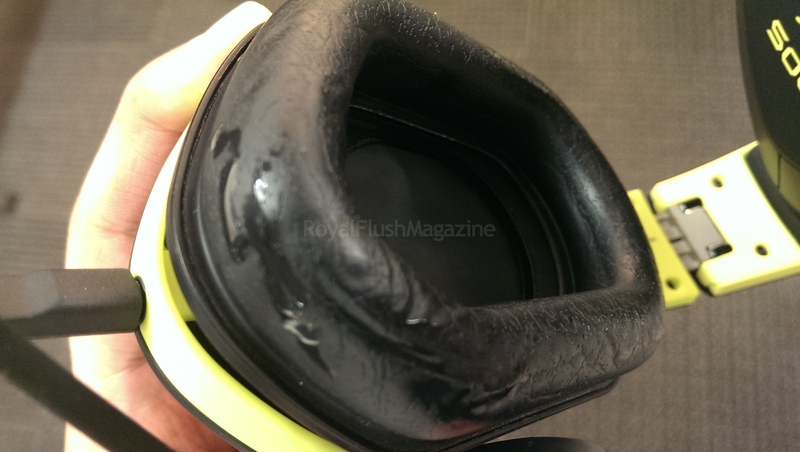 These pads employ a “flex-coat” patent-pending construction that is jam-packed with features all by itself. The extremely soft leather-like material is heat-activated and conforms to the bends and contours of your ears and skin. It is a bit of a surreal sensation as it forms a second-skin of sorts, practically locking out any external sound. I even tested how well the isolation works for passers-by as I blasted music on my player while wearing the headset in a quiet office environment. I was able to bring the volume between 70 and 80 percent on several devices before peers indicated that they actually heard sound leak out. On each of those devices (phone, tablet, and PC) 70 percent volume was already bordering on blaring for me at least. Sound leakage is only suppressed further in noisier environments such as gyms or the outdoors. The unique faux-leather material provided everlasting comfort no matter how long I wore the headset. 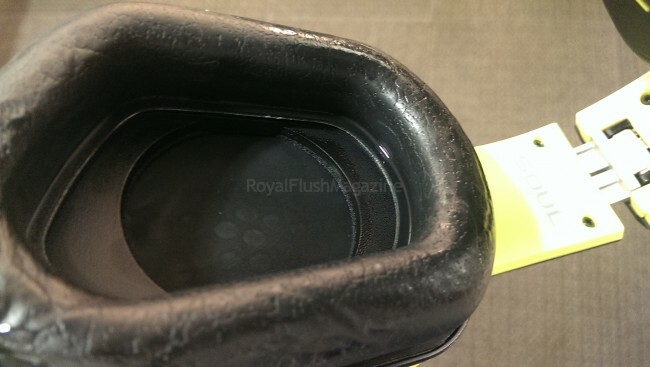 It was even surprisingly comfortable to wear with glasses since the pads’ highly flexible skin merely wrapped around the stems of the frames – easing the squeeze-play that over-ear headphones can produce on specs. Moving on to 2 hr sessions at the gym, you forget that you even have the headset on times. Sure, you may warm up and sweat all over, but that second-skin feel makes you ignore the fact that you are exercising with faux-leather pressed against your head. The bulk of the sweat didn’t actually make it into the ear cups until I took them off casually. 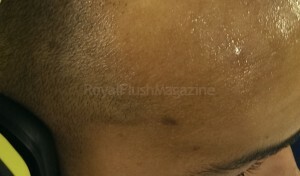 Depending on how much you perspire, take care of the angle in which you remove the unit from your head. Otherwise, the sweat that the Comply pads were nicely holding outside for you will pour right inside as you take them off. 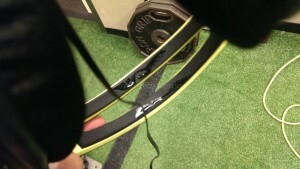 Of course the mesh ear pads sponge it all up as seen here from a workout on a different day. You can hardly see any of the sweat that was soaked up, but I assure that those things are quite damp. You don’t have the premium levels of comfort that you get with the Comply pads, but the mesh pads are still comfortable in their own right. You also lose a negligible amount of sound isolation, but if you’re using mesh instead of Comply, then you probably already decided that you prefer 100 percent sweat protection over anything else. Quality of sound was not an issue with the Transform, so imagine how much more you’d appreciate Soul quality sound with all of the enhanced sound isolation mentioned before. I still feel that devices that use Beats sound presenters should have Beats disabled for this headset as well. All headsets have their own unique driver make-up. So some of them need to be left to their own devices, without software enhancements. That applies here. Mid sound ranges are presented well as lyrics come across perfectly clear. Bass presentation is as strong as Soul promised, coming across warmly and contained well in the over ear headset. The latest in premium active performance headsets, the Soul Combat+ will run you $200. This is as good as over-ear headphones can get for any one that uses music to push themselves to the limit or to distract themselves from the pain. 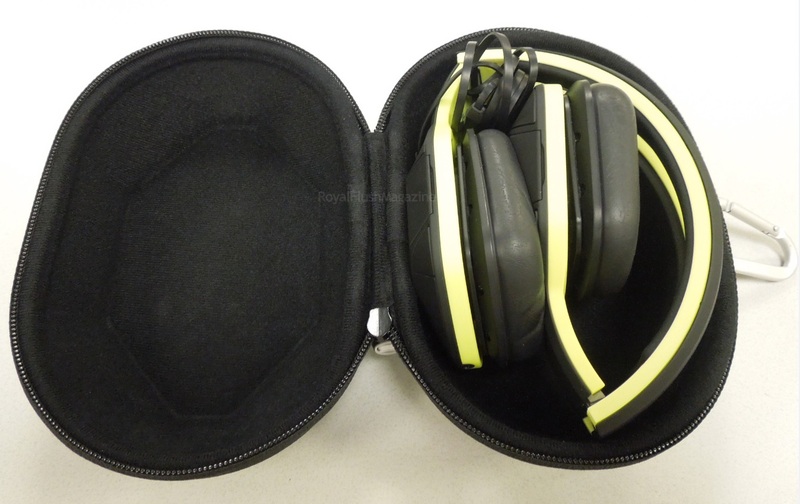 The excellent sound isolation keeps you focused while the sound quality keeps you in the zone. I can only hope that Soul continues to use Comply for their ear pads in future units. If you’re ready to look into purchasing one for yourself, you can visit the product page here. If need just a little more of a push, take a look at Soul Combat+ testimonials by ambassadors Tim Tebow above and Brendan “The Hybrid” Schaub below.